Earlier this year Eyelids did a collaboration with Gary Jarman of The Cribs for Record Store Day and now EYELIDS has the privilege of playing with our UK soul-mates THE CRIBS & the awesome Scottish band PAWS Thurs. Oct. 12th in Portland... We have some surprises in store for the show and it will be great to see The Brothers Jarman all in one place again!!! You can get Tickets by clicking HERE!! Jonathan letting the audience play along!!! 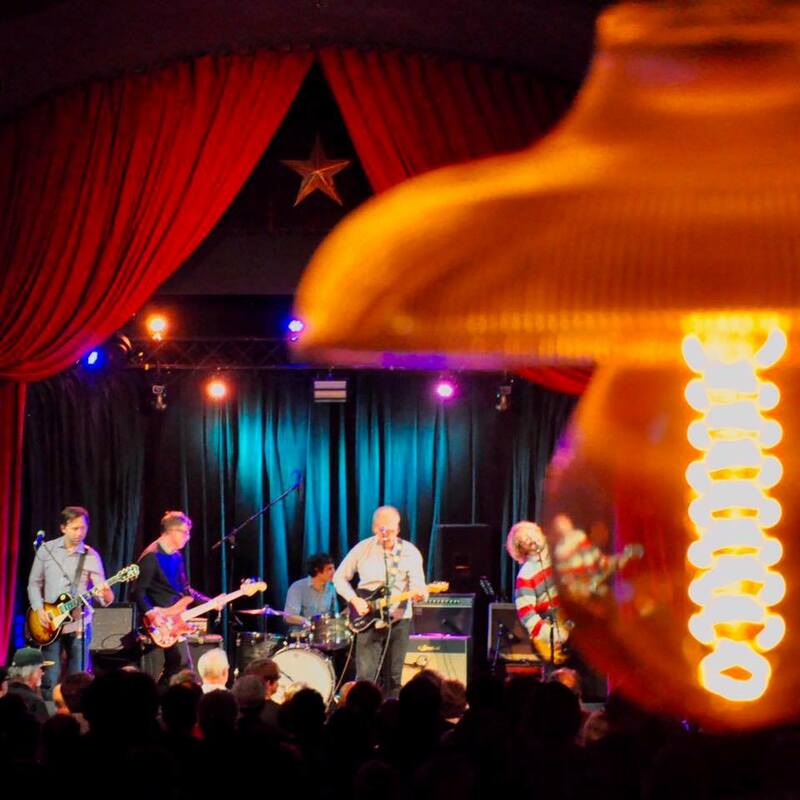 Last week's shows we played with The Dream Syndicate were so amazingly fantastic. A lot of you took some great photos and we're sharing them below. If you get a chance to see them while they are out--DO IT! 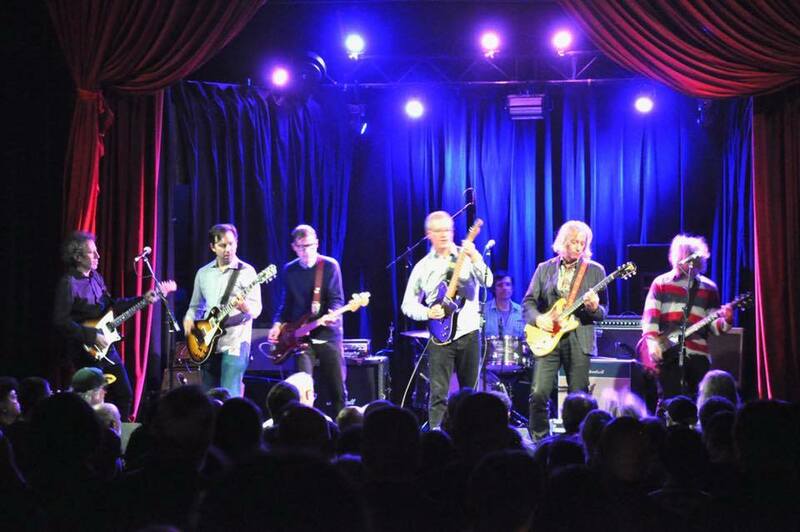 We were joined by Peter Buck & Jason Victor (of The Dream Syndicate) for a six-guitar deep cover of Halloween. AND SF/LA we will see you in a few weeks! October 10, 2017 by Ronnie Christopher. OUR EYELIDS TOUR DATES 2017 ARE HERE!!!! SHOWS WITH DREAM SYNDICATE & JAY GONZALEZ (DRIVE-BY TRUCKERS)!!! August 25, 2017 by Ronnie Christopher. Hello everyone! Busy times already!!! Eyelids heading back into the studio (already) finishing up 4 tracks for something, sometime, somewhere...song titles include Masterpiece (Wanna Die) & Scarcity For The Fox. Go figure! We had a blast up at KEXP a while back. Was great to play, have headphones fly off and make funny too. KEXP are making the video available to watch HERE. 5 songs and a wild interview where you can get the newest info on the upcoming nicknames Applesauce TM and Screwdog as well. Thanks for all the great support for what we are doing and looking forward to the 2nd half of 2017... kick it!!! August 16, 2017 by Ronnie Christopher. BRAND NEW EYELIDS T-SHIRT!!!! HURT THOSE PUPILS!!! Thank you to everyone who came out to Travelers Rest Festival...it was pretty incredible (highlights included Belle & Sebastian pulling a massive audience onto stage, The Decemberists trying to get of their "whale" for a finale time, Khun Narin from Thaliand & Real Estate). Although there was no streaking to be had (aww....) we were able to unveil our new t-shirt!!! This brand spankin' new Eyelids t-shirt features the haunted face from our last RSD 7" and our loving bubble letters... Drive your pupils wild with this one and grab em up!!! 100 % cotton and available in 2XL, XL, L, M, S $15 post-paid!!! Also our previous two shirts are almost sold out so we are doing a sale on them (sorry no Mediums left)... check em out while you can!!! This will be a crazy week of announcements so hold tight...lots of fun and news ahead including the full list of our Fall tour dates!!! YES!!!! August 14, 2017 by Ronnie Christopher. While we are finishing up the next Eyelids video, our plans for Fall U.S. Tour dates, general well being and John's mustache upkeep we are happy to announce that we will be playing this Friday Morning on the much coveted and legendary KEXP morning show!!! You can watch video or listen live via KEXP but you can also reserve yourself a spot at the station to view from their peanut gallery section! Should be a ton of fun and we look forward to spilling some coffee, tea and egg broth with you all!!! 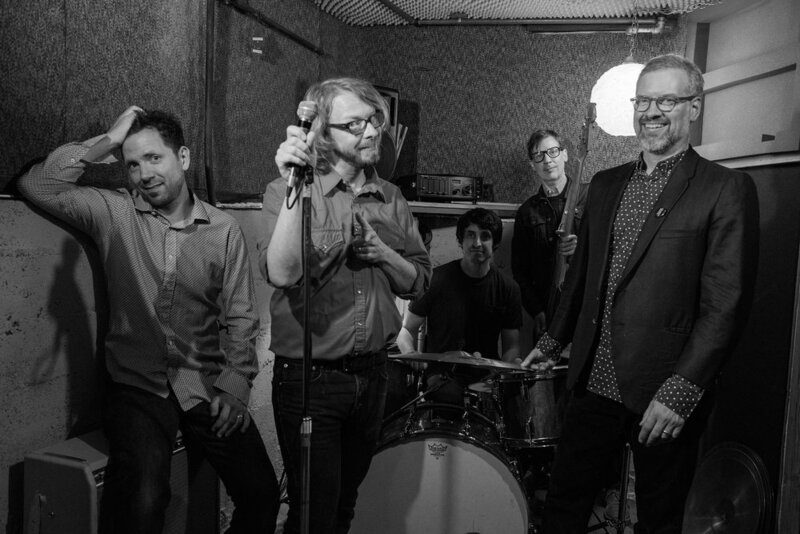 KEXP presents an in-studio session with Eyelids! on Friday, June 23rd at 9:30 AM PT! June 19, 2017 by Ronnie Christopher. Hello everyone... Thank you for the lovely celebration regarding our new record "or". Many of you have sent messages from all over telling us how much you dig it. That means a lot! We're going to be playing a lot of shows this year with some touring later on as well--so be sure to keep in touch and we'll make sure we let you know when you're in your place of sleep and such! We also have the last remaining copies (less than 10 copies) of our UK RSD 7" EYELIDS MEETS GARY JARMAN featuring two exclusive songs we did in our store. Click HERE to get the last little beasties before they are all gone! May 8, 2017 by Ronnie Christopher. JEALOUS BUTCHER HAS SOME LIMITED COPIES OF OUR UK RSD 7"!!!! HEY EVERYONE... THANK YOU FOR CHECKING THE EYELIDS VIDEO FOR "FALLING EYES" THIS WEEK VIA PITCHFORK, TIDAL, STEROGUM AND WHAT HAVE YA. IF YOU HAVEN'T SEEN IT YET IT IS NOW AVAILABLE ON YOUTUBE AS WELL--CLICK HERE! PETER BUCK FOR BEST SUPPORTING ACTOR!!! April 22, 2017 by Ronnie Christopher.